Deriving its name from two words; Nam meaning the ‘sky’ and Chi meaning ‘high’ that translates as the top of the sky, Namchi, located at an average elevation of 1,315 metres, is the capital of the South Sikkim district of the Indian state of Sikkim and the place is fast emerging as a popular tourist destination. Set in a picturesque location, Namchi offers an unmatched view of the Khangchendzonga range and the Rangit valley. Namchi hosts the very popular Namchi Mahotsav, a Tourism, Culture and Food Festival, every year in October. A flower festival is also held annually. The entire state of Sikkim was once under the reign of the Chogyals, it is also believed that the Chogyals were the main emperors of Sikkim as well as Ladakh. As per legend, it is said that the Sikkimese Princess, Pende Ongmoo, cheated a Sikkimese Chogyal. The supporters of Chogyal after knowing this got angry and killed her. The place where the princess was killed is believed to be present day Namchi. In addition, it is also believed that her spirit still haunts the foothills of Ghurpisey. Another popular legend attached to the destination is associated with the Samdruptse Hill. This hill is believed to fulfil all wishes, where the largest statue in the world of Lord Padmasambhava is also established. Formerly, this hill was believed to be a volcano, which is now dormant. According to myths, it is said that Buddhist saints and monks go up the hill and pray that the volcano does not erupt. Furthermore, in the month of February, the Namchi garden hosts an annual flower show. The special attraction of this show is the exhibition of exotic and rare orchids. Besides orchids, the show is famous for being the largest flower show in Sikkim. In addition, the place also hosts Namchi Mahotsav in October which is a tourism, culture and food festival. Namchi has become one of the popular tourist attractions as well as pilgrimage centres. The Namchi Monastery, Ralong Monastery, Sherdup Choeling Monastery, Dichen Choeling monasteryand Tendong Hill are some of the most prominent attractions of the destination. The world's largest statue of Buddhist deity Lord Padmasambhava, with a height of around 118 feet is located at the Samdruptse hill, which is another popular attraction. Apart from these, Namchi Rock Garden located between Namchi town and Samdruptse, is another major attraction of the destination. The 135 feet high statue of Guru Padamasambhava is present at Samdruptse near Namchi at a distance of 75 kms from Gangtok. Samdruptse literally means 'wish fulfilling hill' in the Bhutia language. This unique, awe inspiring and gigangtic high statue of Guru Padamasambhava is installed atop Sampruptse. It is the highest statue of Guru Padamasambhava in the world. His Holiness the Dalai Lama laid the foundation stone of the statue in October 1997. It took nearly three years to complete the statue. Namchi can be reached by flights, which are served by the Bagdogra Airport, located at a distance of around 100 km away. In addition, the destination is also connected to the rest of India via the New Jalpaiguri Railway Station, which is situated at a distance of 91.7 km from Namchi. Buses are also available for travellers, which are operated by the Sikkim Nationalised Transport (SNT). The best time to explore Namchi is during the summer season, which extends from the month of March to June. Wish to run away from the scorching heat and enjoy nature at its best ? Rush to the Kaleidoscopic land of Phalidara, a place of divine beauty that will mesmerize your senses, an enchanting place that overlooks NAMCHI in the most splendid form. Lying pretty in the picturesque slop of Phalidara is Seven Hills Resort A winding, climbing road through the trees lead to twelve exotic cottages set serenely on the slopes of Phalidara The resort spreads out over 6 acres with twelve traditionally designed cottages set amidst landscaped greenery. The cottages look out to a spectacular view of beaming Namchi with Darjeeling shining With its utmost beauty in the background. The other beauty includes Samdruptse, Rock Garden, Helipad, Solophok which can be viewed from your private balcony without any disturbance. A feast for the sore eyes is the majestic sunset and the breathtaking view of Mt. Kanchendzonga. Every cottage faces the majestic vista of the mountains and has its own private varanda. The resort has handsomely decorated Deluxe and Luxury rooms. The rooms are "cocoons of comfort" with fireplace in the rooms to warm you while you enjoy your evening ea. Teak, bamboo and Thai woven fabrics create a charming ambience which you will appreciate. Each double bedded rooms have a suite with attached bathroom with 24 hr. running hot and cold water and a private balcony with undisturbed views. The moms are equipped with all the basic amenities like soap, bath robes, towels, toothbrush, face creams , body scrubbers, slippers etc. Its historic heritage is reflected in the mticulously restored interiors, designed to capture the original architecture. Inspired by the ethnic architecture, an open and spacious hall cith modem kitchen, serving vegetarian and non-Vegetarian cuisine adds to the beauty of the esort. Tempt your palate with some of the finest cuisine blend with characteristic warmth, riendliness and hospilitality. You have wide choice of cuisine delights - Sikkjmese, Chinnese, Indian and various others. The taste of local wine made out of local fruit will tempt your taste buds. Own organically grown Kitchen Garden makes fresh vegetables easily available, to that you can pick the vegetable of your choice and have them cooked. As you get lost into the creative cuisine, watch the local traditional music of Sikkim. EP - This is called the European Plan. Under this plan, only room rent is included and any food cost will be additional. Usually this will have the lowest tariff. CP - This is called the Continental Plan. Under this tariff plan, room rent and complimentary free breakfast is included. For dinner and lunch you will have to pay extra. MAP - This stands for Modified American Plan. 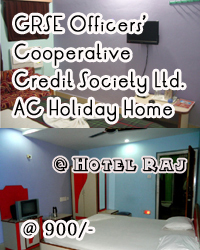 Under this tariff plan, room rent is included with free breakfast and free lunch OR free dinner. AP - This stands for American Plan and this tariff includes room rent plus breakfast, lunch and dinner. Booking a room under this plan means that you wont have to pay extra for food. MAPI or API - This is an extended version of MAP or AP under which free evening tea/snacks are provided.